Designed to ferry paying space tourists and research payloads to edge of space, Virgin Galactic’s SpaceShipTwo vehicle has been in development more than a decade. Richard Branson, founder of Virgin Group, modeled the SpaceShipTwo design on SpaceShipOne, a smaller rocket plane that became the first privately-built craft to carry a person into space in 2004. 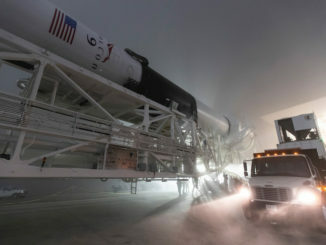 The winged vehicle, named VSS Unity, dropped from the belly of Virgin Galactic’s carrier aircraft, VMS Eve, around 9 a.m. PDT (12 p.m. EDT; 1600 GMT) Thursday and fired its hybrid rocket motor for 30 seconds, accelerating to a top speed of Mach 1.87, nearly twice the speed of sound, the company said in a statement. Pilots Mark “Forger” Stucky and Dave Mackay were in the VSS Unity cockpit. The drop occurred about an hour after the VMS Eve mothership took off from Mojave Air and Spaceport in Mojave, California. The carrier jet, piloted by Mike Masucci and Nicola Pecile, climbed to an altitude of around 46,500 feet (about 14,200 meters) over the Sierra Nevada Mountains. After turning on a course back toward Mojave, the VMS Eve released the VSS Unity spaceship, and the spaceplane fired its rocket motor a few seconds later. Burning a mixture of rubber-based solid fuel — called HTPB — and nitrous oxide, the rear-mounted rocket engine propelled SpaceShipTwo to nearly twice the speed of sound as the pilots maneuvered the craft on an 80-degree climb. 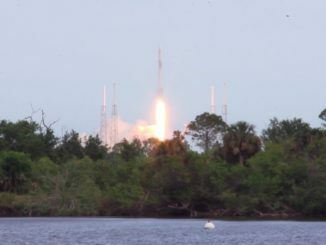 After the rocket motor shut down, the craft coasted to a maximum altitude of 84,271 feet (about 25,700 meters). Thursday’s flight was the first powered test flight by the VSS Unity spaceship, built after the crash of Virgin Galactic’s first SpaceShipTwo vehicle, which killed co-pilot Michael Alsbury and injured lead pilot Peter Siebold after an in-flight breakup 10 miles above California’s Mojave Desert on Oct. 31, 2014. Federal investigators concluded Alsbury prematurely unlocked the craft’s tail feathering system on the doomed test flight. Used to re-orient and slow the spacecraft for its descent back to a runway landing, the twin tail booms are supposed to be unlocked and rotated later in the SpaceShipTwo flight sequence. Neither pilot commanded the feathering mechanism to engage, but strong aerodynamic forces caused the feather’s two booms to rotate into their re-entry positions once they were unlocked, leading to the vehicle’s disintegration. 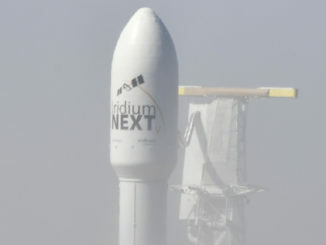 The National Transportation Safety Board also faulted Scaled Composites, which built the VSS Enterprise spacecraft and employed Alsbury and Siebold, for failing to address the risks and consequences of a pilot-induced error, raising chances that a catastrophic accident could be instigated by a single mistake. The VSS Unity rocket plane incorporates safety measures to prevent pilots from prematurely unlocking the feathering mechanism, which apparently functioned as intended Thursday. Virgin Galactic took over management of the SpaceShipTwo test flight campaign in the wake of the 2014 accident, and VSS Unity was manufactured by a Virgin subsidiary named The Spaceship Company, or TSC. Engineers also changed the SpaceShipTwo rocket motor design from one that used plastic-based fuel to one that burns rubber-based fuel. Virgin Galactic previously used rubber fuel in the SpaceShipTwo motor, but switched to the plastic-based compound before the 2014 crash. The propulsion system was not a factor in the accident. Thursday’s test flight was the highest and fastest for Virgin Galactic’s SpaceShipTwo program, eclipsing marks set by the VSS Enterprise’s three powered test flights before the ship crashed. The test Thursday came after seven glide flights by VSS Unity and its test pilot team, plus four “captive carry” flights when the ship remained attached to the jet-powered VMS Eve mothership. After the rocket burn, Stucky and Mackay configured the tail booms into their feather position for descent, then lowered the feathering mechanism as the spacecraft dropped below 50,000 feet. VSS Unity also jettisoned oxidizer left over in its rocket motor, then glided to a landing back at Mojave. 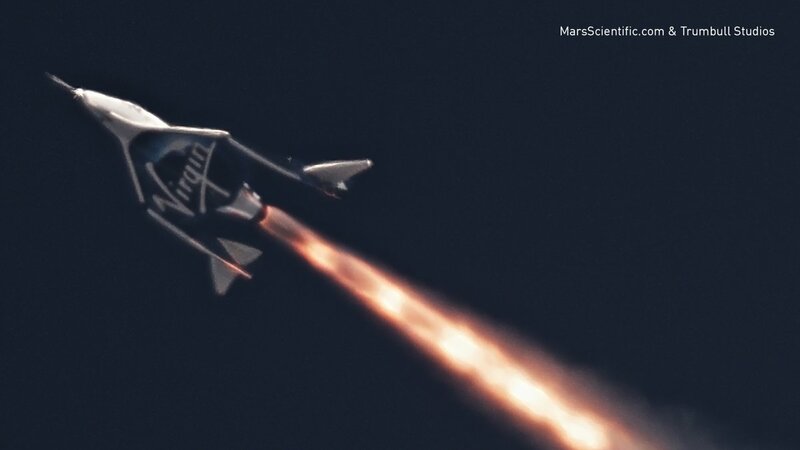 Virgin Galactic is in stiff competition with Blue Origin, founded by Amazon.com billionaire Jeff Bezos, to be the first company to begin commercial suborbital space tourism and research service with human-rated spacecraft. Blue Origin’s New Shepard design is different the the Virgin Galactic’s vehicle, using a reusable capsule that takes off like a conventional rocket, then comes back to the ground via parachute. 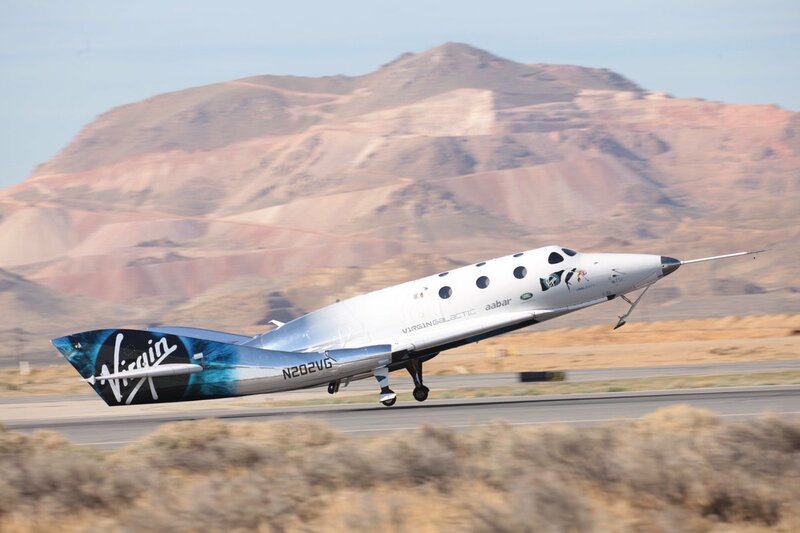 Officials did not say Thursday when SpaceShipTwo will make a full-duration test flight, or when commercial passengers could begin flying with Virgin Galactic. Company officials said last year they hoped to begin flying tourists up to an altitude of 50 miles (80 kilometers) some time in 2018. Two more SpaceShipTwo vehicles are under construction in Mojave. Operational flights by Virgin Galactic’s SpaceShipTwo fleet will occur from Spaceport America near the White Sands Missile Range in New Mexico.